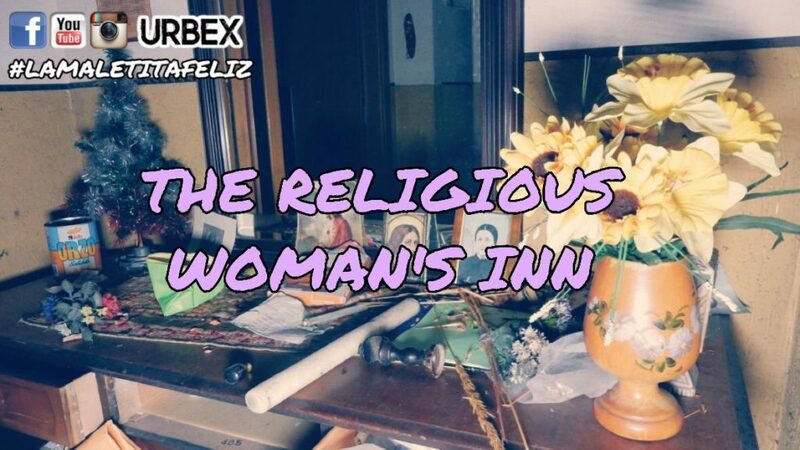 Hi there, in this exploration me and the Pink Fluffy Unicorn will take you to an abandoned inn belonging to a woman literally obsessed with religion: although she has two aunts nuns, I have never found so many sacred objects gathered in one place. Will she have asked for an important grace or a vote? She unfortunately brought this secret to the grave and we will never find out. The numerous subscriptions to magazines of charity operations for children made me realize that it was also very charitable. Looking at the photos I immediately realized that she was an old -fashioned woman very close to her family, that they didn’t take care to protect the house she loved so much. This place is divided into a private house and restaurant-pizzeria, where people gathered to eat something good and dance. It was a one-star hotel and in the 80s it received a certificate of merit for the excellent way to welcome customers and the name of the inn was cancelled by the passing of time. At the time it had to be nice to enjoy a few days in total relaxation surrounded by nature and now is a place completely forgotten. The hotel had the numbered rooms with a shared bathroom and each was different in color. I think she finished her life old and incontinent : I know this because of the large amount of diapers I found inside a closet. It is not known whether he has heirs, but they have certainly refused property for not paying taxes. The owner of this inn was a woman from Campania, defined by her neighboors a person full of energy. He also won awards as a cook and as a hotelier and thanks to this she managed to guarantee her family’s economic well-being. With the growth of her children, the house began to populate with the presence of the nephews, but they grew up and took their way. 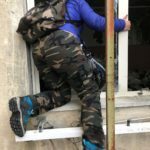 Once the house was emptied, this woman decided to use some rooms of her big house to bed and breakfast, but in 2000 the crisis began to be felt, her husband became ill and died, she grew old and could not manage everything by herself. So decided to sell the restaurant pizzeria and to continue only the activity of renting rooms, and then leave also this activity. The restaurant sold has been renovated and used as a beer bar with another entrance but failed some years later because it took a bad name. When it closed someone else was interested in taking it to make us a pub but then everything stopped and nothing went to port. Perhaps because of the lady’s death, which happened in a hospital bed, without giving her the chance to return to her beloved home. I’m sorry, but at the moment for this place I will not give any kind of geographical indication: I can only say that it is an extremely easy access structure. As always, I leave the link of the video and the insights at the bottom of the page (English subtitles are available).